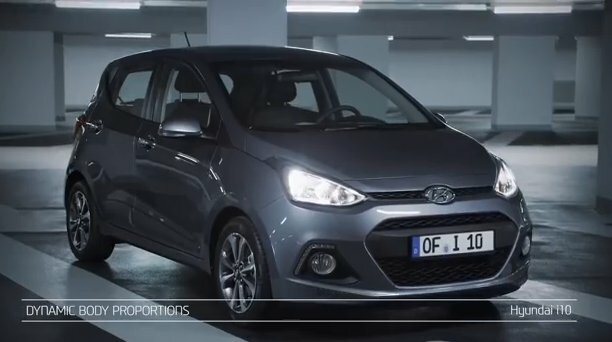 There are few cars that have been able to hit the ground running in the way that the new Hyundai i10 has. In the past few weeks alone, the all-new Hyundai i10 has been voted Best City Car by What Car? Magazine, knocking off the Volkswagen Up and Skoda Citigo in the process. Better yet, it also took home the overall car of the Year award from the CarBuyer website. That’s great news for Hyundai, but what is it about the car that makes it so appealing? You have to start off by looking at what you get for the price. The design is great on the inside and out, and is actually something that would not be out of place on an Audi or other higher end brand. You get a good feeling the moment you see the car for the first time, and it only gets better when you slip behind the wheel. Engine choices are a 1.0-liter or 1.2-liter 3-cylinder with either a manual or automatic transmission. This is a car that is very much designed to be driven in the city, which can be seen in the fact that the 30mph speed limited is clearly indicated in red on the speedometer. For a little comfort around town, a foot rest sits beside the clutch to rest your foot between shifts. One of the first things that you notice when driving the i10 is how easy it is to control, all of which comes courtesy of the power assisted steering. Getting into a tight parking space or executing a three-point turn really couldn’t be any easier. You expect smaller cars like the i10 to deliver something of a rougher ride than its larger counterparts, but that is really not the case here. The noise level in the cabin was low, even on roads that were less than perfect, as was the level of vibration. The car barely makes a squeak or any type of sound while you drive. There is a surprising amount of pull and power delivered from the engine, and you are aided by the gear shift indicator on the dashboard that indicates when you should change up to become more fuel efficient. There is actually a claim that says the car can deliver 60mpg, which would definitely be a major coup for Hyundai. The price and what you get for it should be enough to convince most that the Hyundai i10 is a great deal, but if you need a little more prodding, look no further than the 5-year unlimited mileage warranty and the 5 years of roadside assistance and annual health checks that are included in the cost. The previous i10 model was a big hit for Hyundai, and since this version improves on that, you can expect more of the same. Stay tuned for more news & reviews about the funky little Hyundai i10 5-door hatchback.